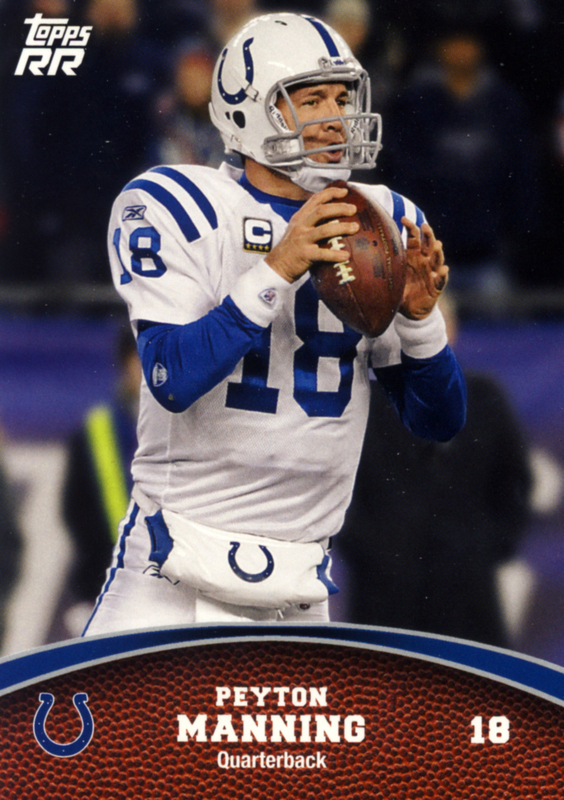 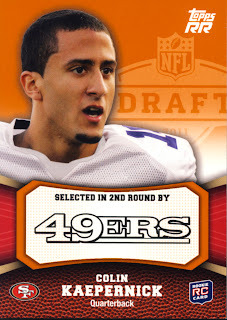 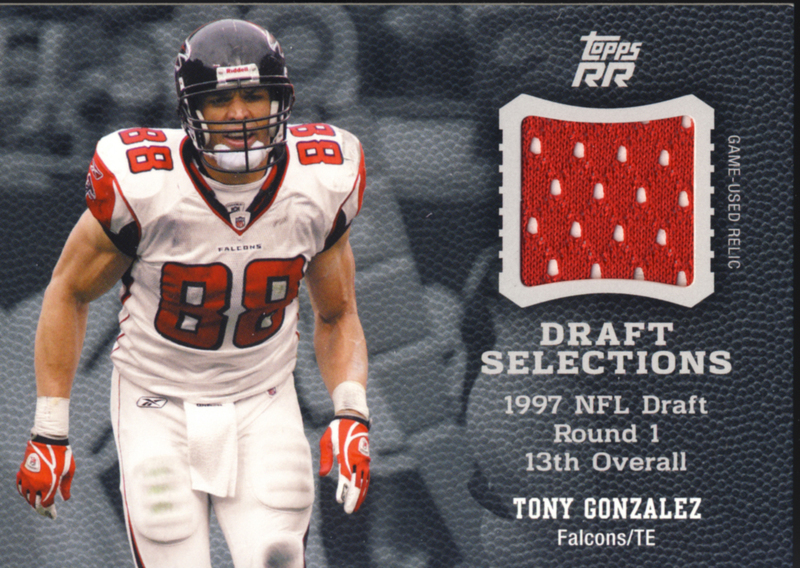 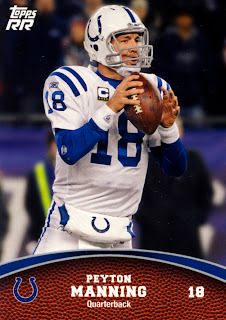 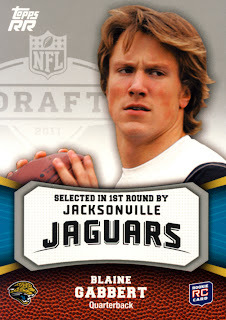 Topps releases its first football cards for 2011 with Rising Rookies. 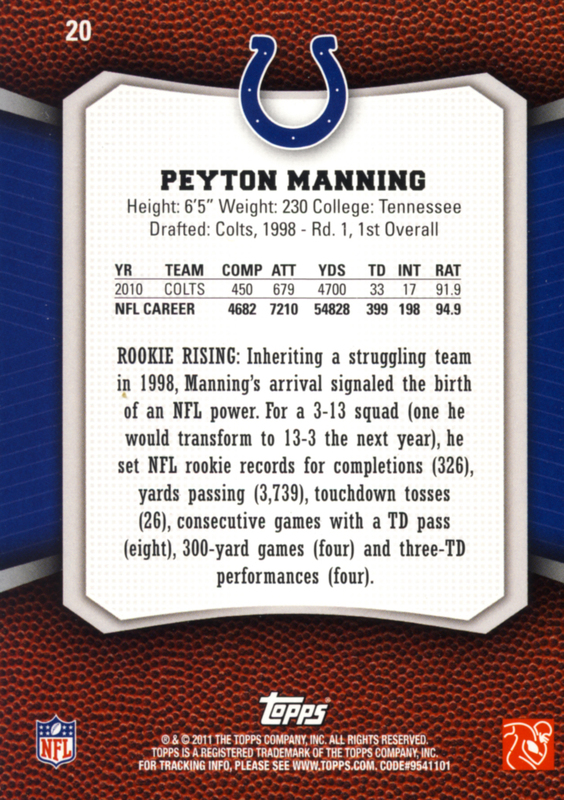 It should be a great year for Topps football judging by these cards. 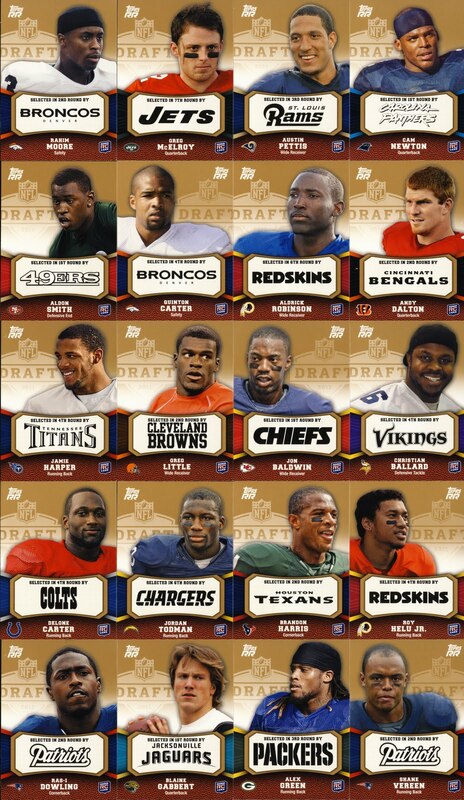 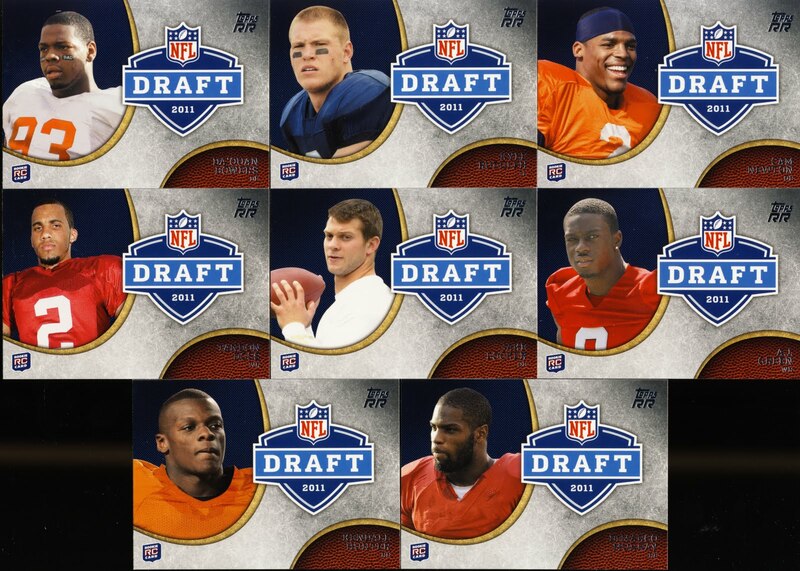 If you’ve followed 2011 NFL Draft along with us here on the blog, these will be familiar names and faces already. 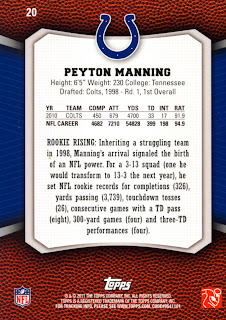 In addition to the recently drafted rookies, there are 100 base cards for returning star players. 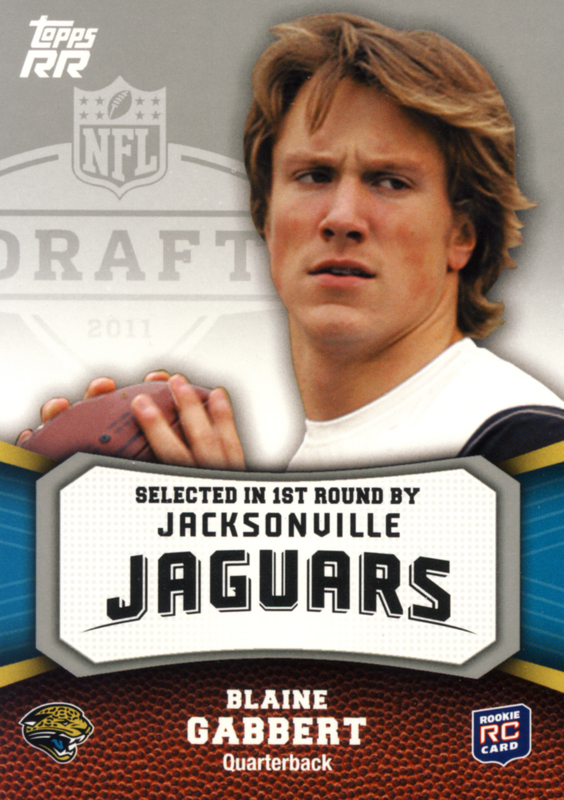 We classify this set as trading cards. You can find them at retail outlets and your local card shop. 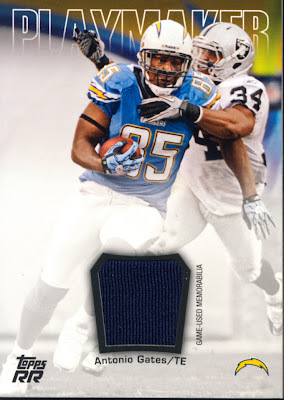 Hobby Boxes come with 24 – 10 card packs and you’ll find at least 4 Relic or Autograph cards per box. 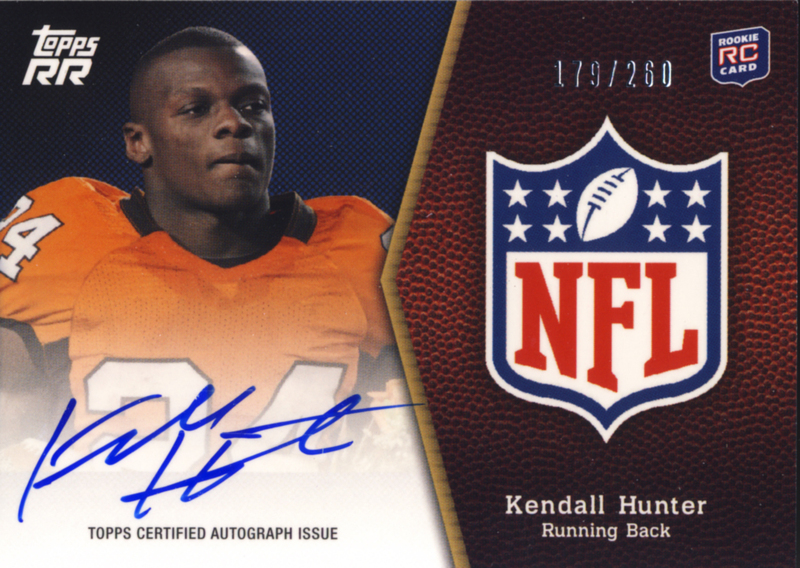 Lets take a look at some of the cards we pulled from our hobby box. 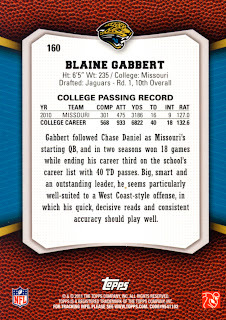 There are nicely designed cards with equally nice photography. The inserts are also well done. 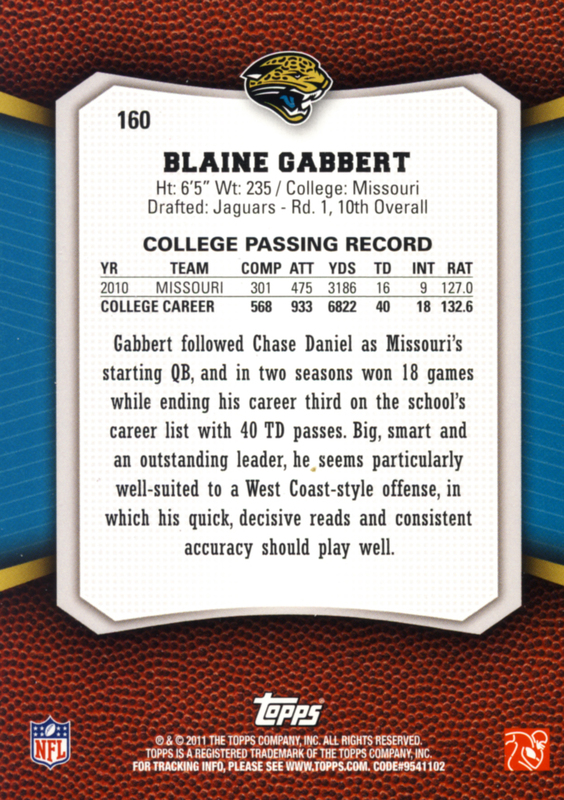 100 base cards, 100 rookies. 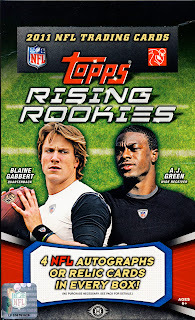 That’s about as Rookie heavy as you are going to get for a release, but this is Rising Rookie so its appropriate. 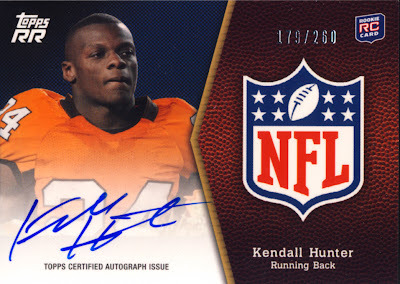 Some really nice on-card autos and jersey swatches make these hits more than hold up. As a matter of fact, some of these hits could easily fit into a Premium release. 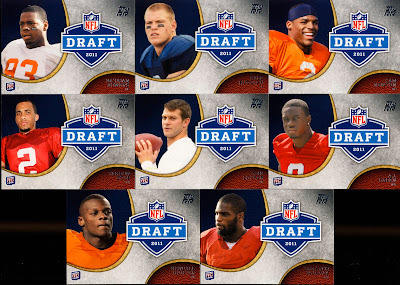 Small checklist, desirable players, and rookie prospecting provide a great mix so you’ll want them all. 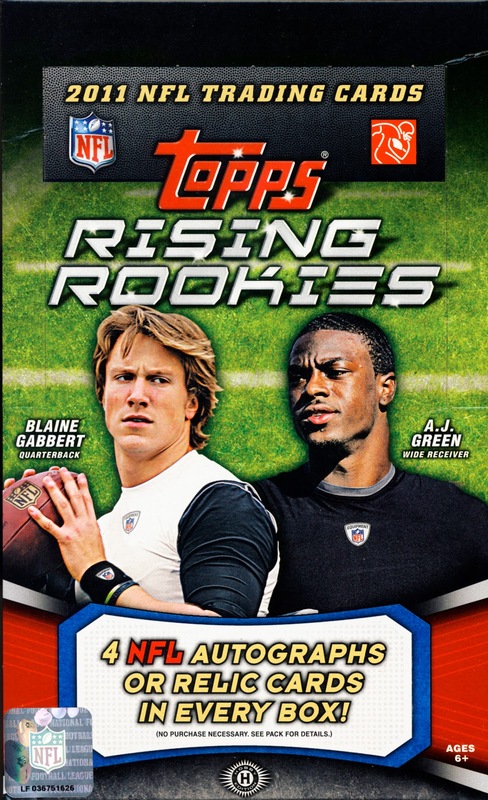 As an opener to the Football Card collecting season, 2011 Topps Rising Rookies Football comes on strong, showing good signs for the year ahead. 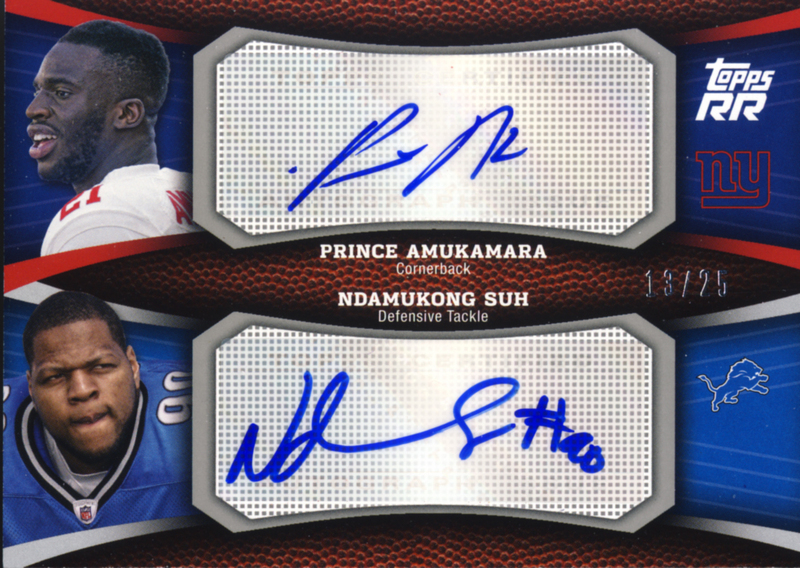 Nice dual autograph - looks like a different sticker window than they've used in the past but maybe its just the photo. Pretty cool box, I've seen some retail but haven't pulled the trigger - might wait until more comes out and see what happens to the new rookies.